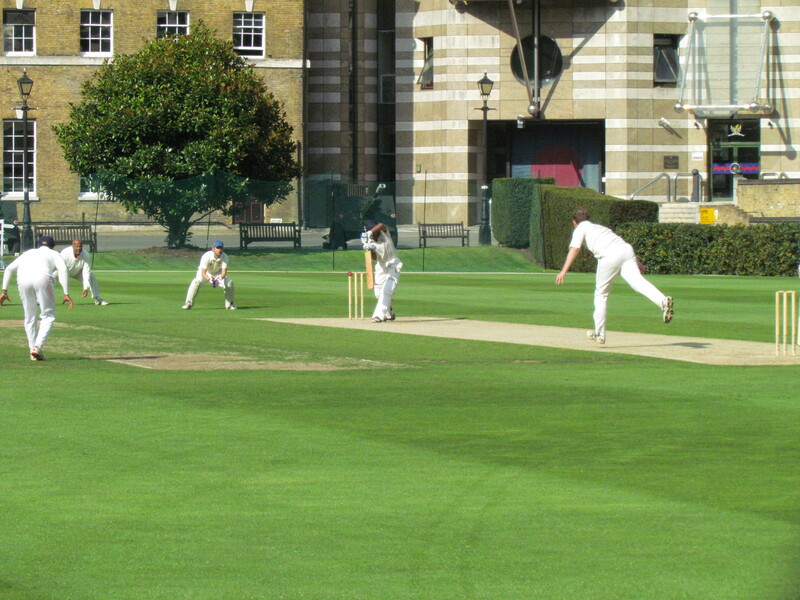 Despite an unusual looking pitch presenting itself for this much anticipated fixture, Tim had no hesitation in batting first under cloudless skies. 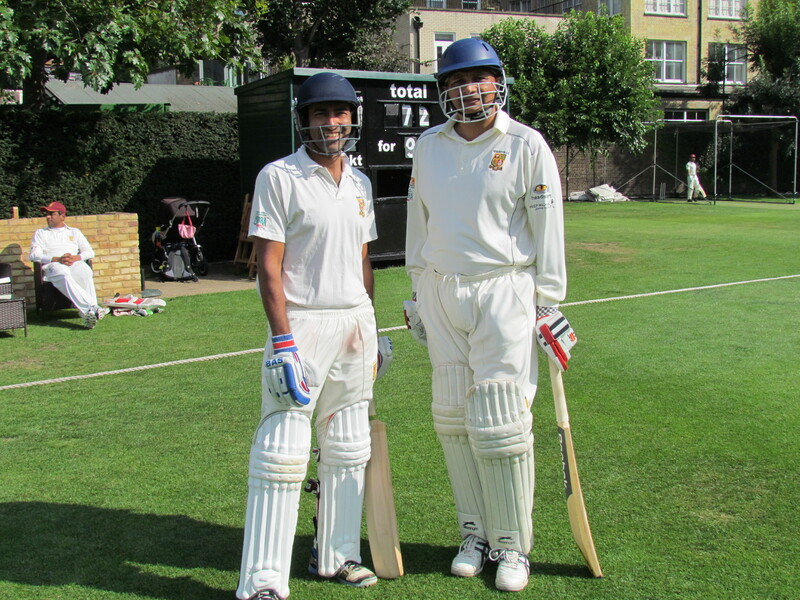 Jai and Amit opened things up and were as untroubled as you could be in taking us to 69 without loss. 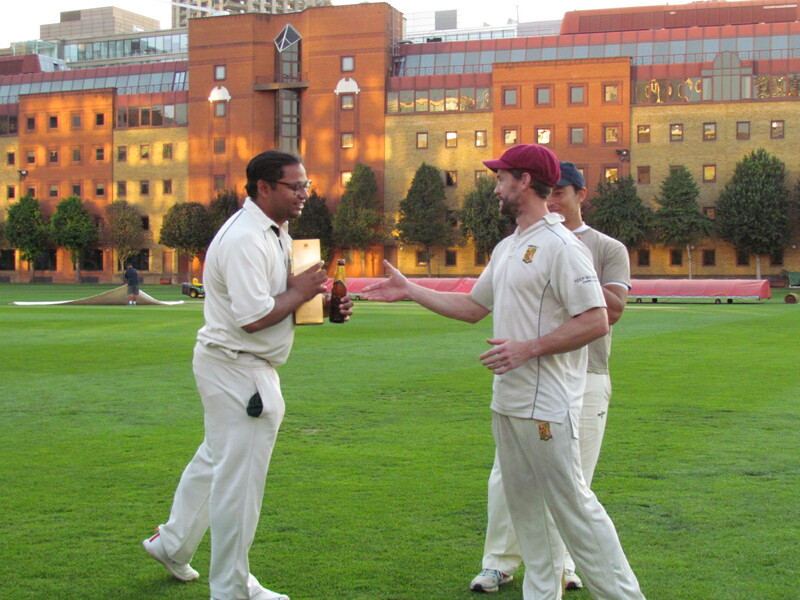 But the first change inswingers of Razwan collected 2 wickets in 3 balls, with both Amit and Chetan’s stumps being unsettled. 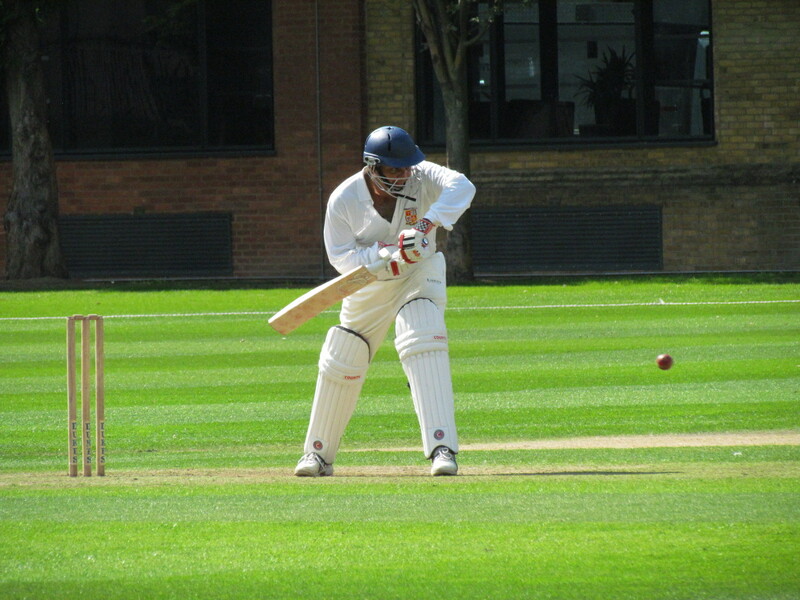 Jai continued on his merry way with typically graceful cover drives and cut shots interspersed with elongated calls of ‘yeeeeeeesss’ and ‘waaaiiiit’ keeping us all entertained boundary side. On 94, a short ball was dispatched for six over the deep square boundary, a mightily emphatic way for Jai to bring up his century. 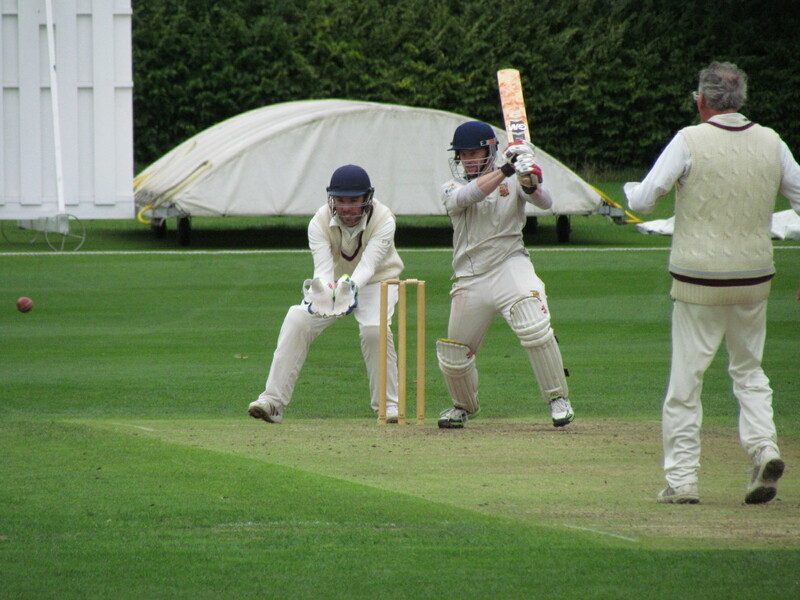 Tim joined Jai at 159 for 5, with both batting aggressively to carry our score to an imposing 247, Jai making a superb 128 in just 100 balls, and Tim an unbeaten 58 in 44 balls. 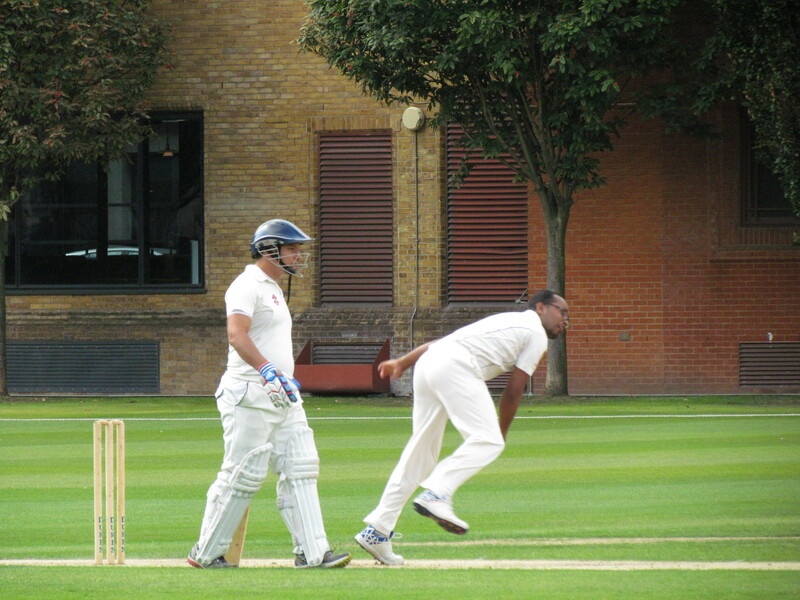 It was evident from early in the 2nd innings that taking the required 9 wickets to secure victory (HAC were playing with 10) was going to prove hard work, especially with HAC not exactly racing out of the blocks in chase of our score. 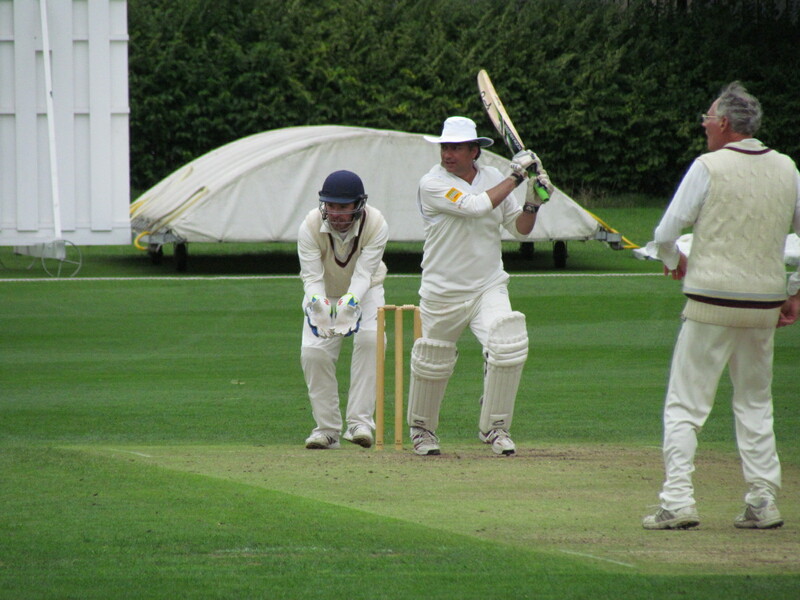 It took an outstanding piece of fielding from Tabrez in covers to have the HAC skipper, Ed Haines, run out for the first wicket. 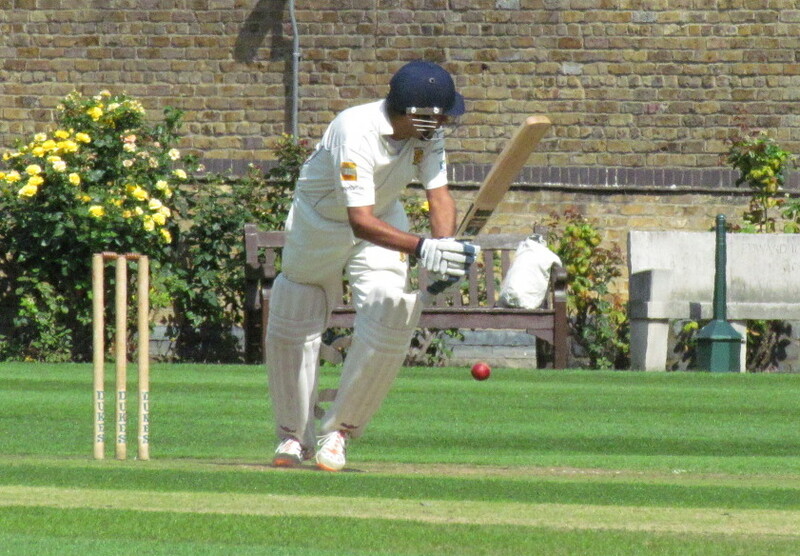 Tabrez continued his magic touch when thrown the ball, dismissing the other opener and number 3 batsman who in particular looked in ominous form. 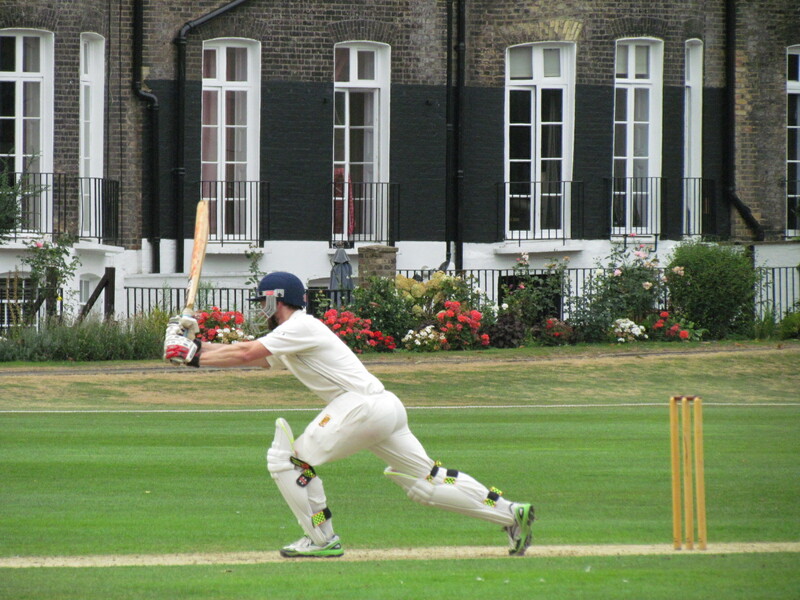 But once the 20 over countdown began, class batsman Liam Casey looked completely untroubled, reaching his century in the final over – KCC 4 wickets short of victory and HAC 43 runs short of the target. 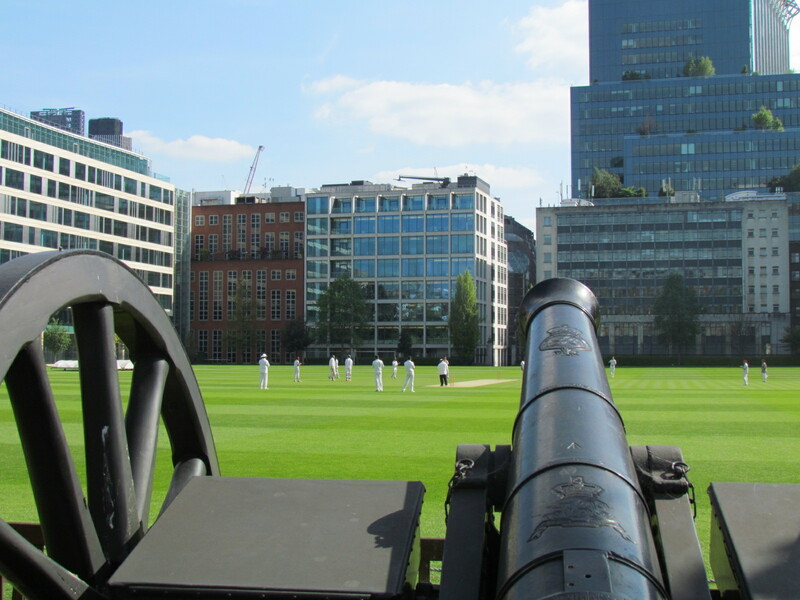 We were blessed by a beautifully warm, sunny day for one of the most eagerly anticipated matches of the season at the fabulous HAC ground, but unfortunately the game didn’t live up to expectations. 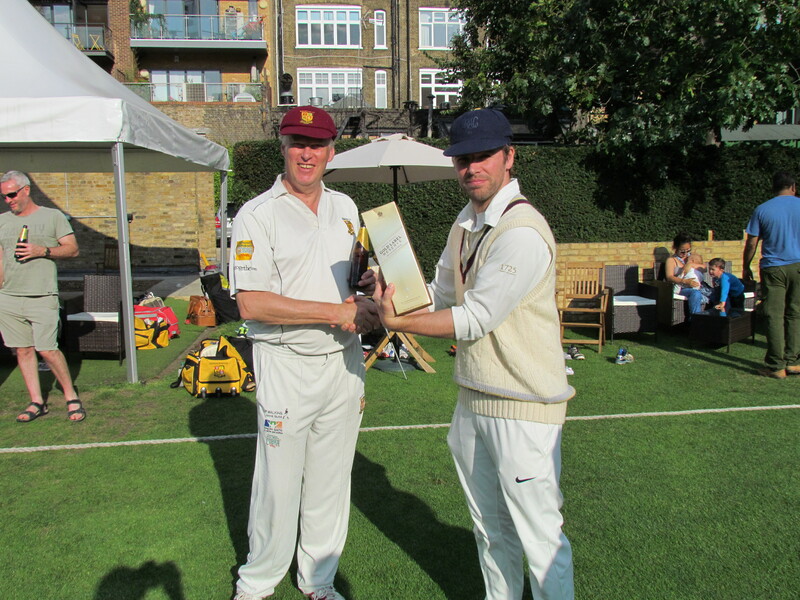 Skipper Chris won the toss and put HAC into bat, reasoning that with a strong batting line-up KCC could chase pretty much any score – little did he expect that we would be chasing just 72! 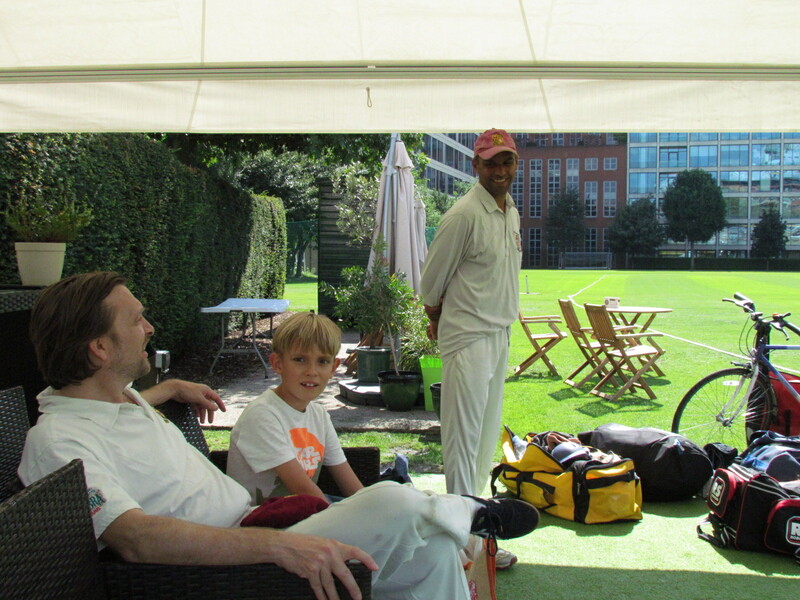 Opening bowlers Matthew and Saikat both bowled brilliantly, perhaps the best that either has bowled all season. 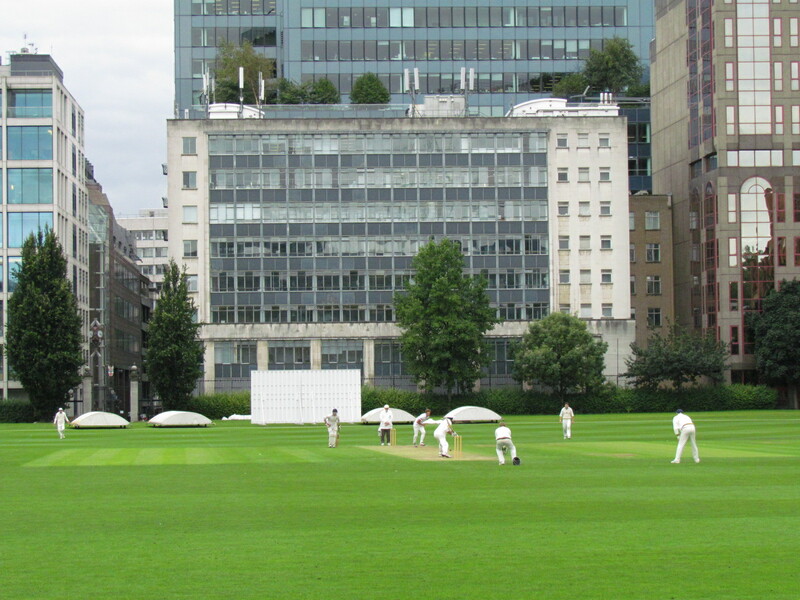 Between them they demolished the HAC top order (31/5). 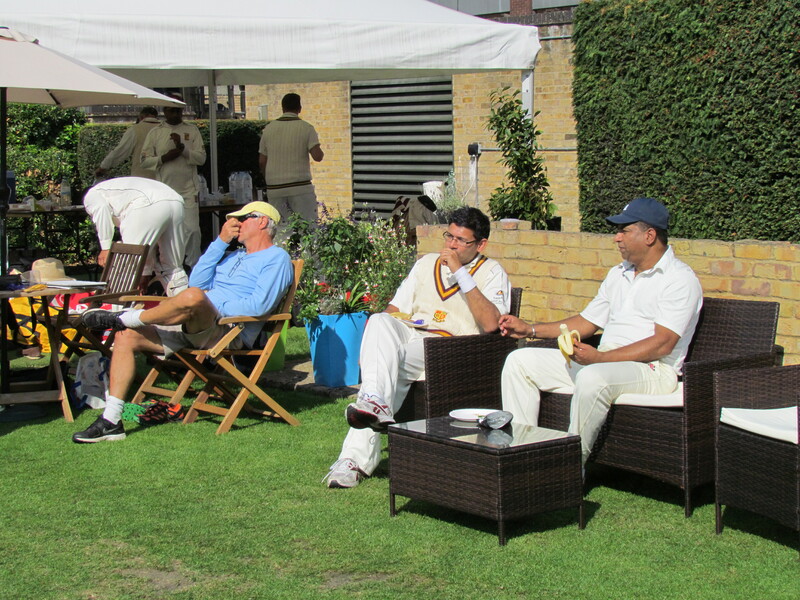 First change bowlers Saurav and Chetan also bowled very well, ably supported by excellent fielding. 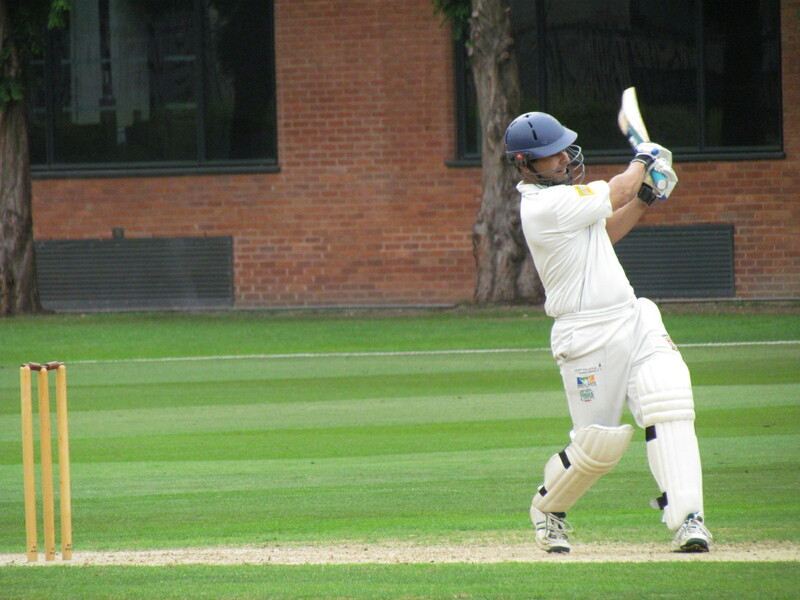 Jai Singh in the slips took two superb low catches. 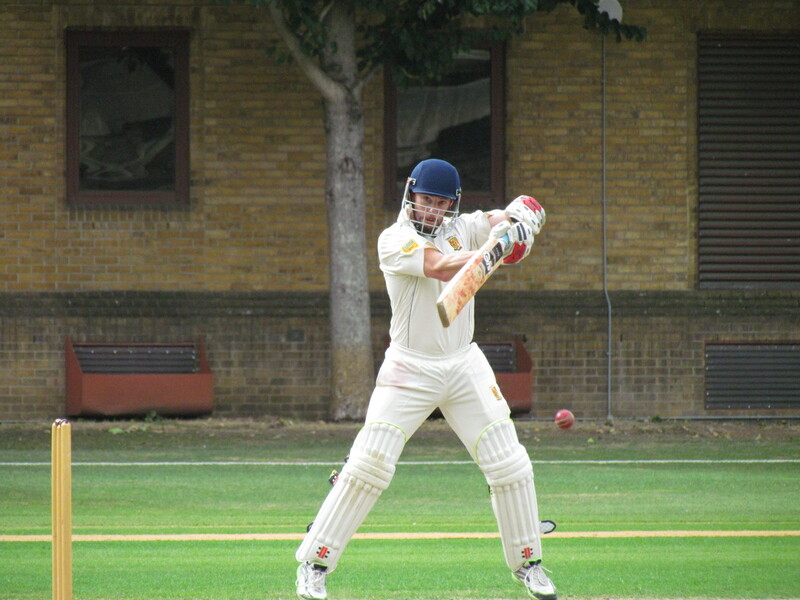 After 26 overs HAC were reeling at 54 for 9. 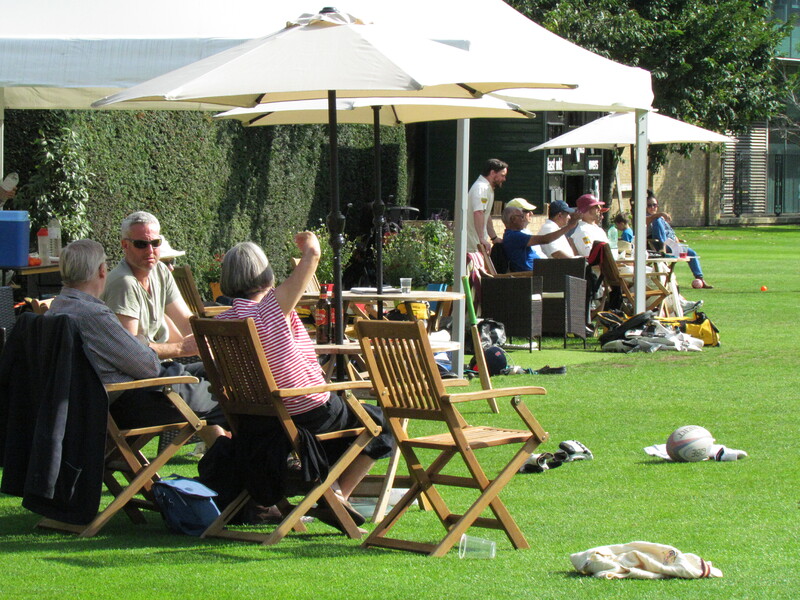 With two elderly players at the crease at numbers 10 and 11, we took the foot off the pedal for a few overs, before wrapping things up with HAC all out for a dismal 72. With so few runs needed, KCC’s innings was an easy stroll to victory in just 17 overs, Jai and Amit making short work of the attack. It should have been an 8 wicket win but for an extraordinary refusal by Jai to respond to Amit’s call to take the winning single. 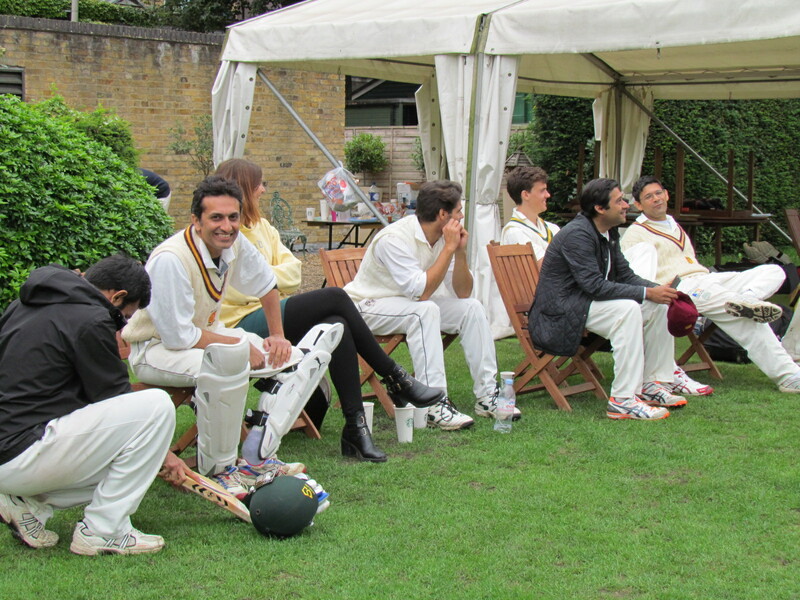 The discussion continued in the middle of the pitch! With unsettled weather due to hit by 5pm, it was decided prior to the toss that a 30 over game made most sense to ensure a result was to be had. 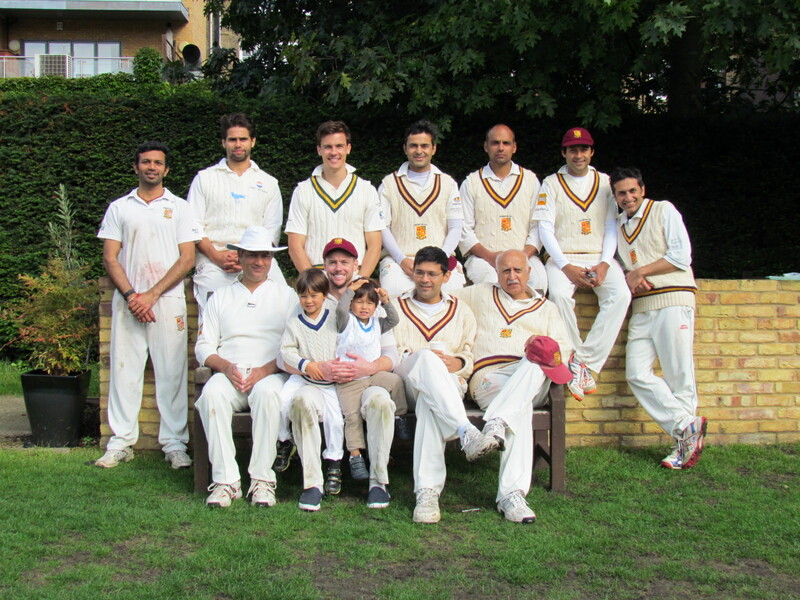 As it turns out we didn’t toss the coin – with only 5 home players present Tim offered to bowl first – and the match indeed had to be abandoned but not because of the weather per se. 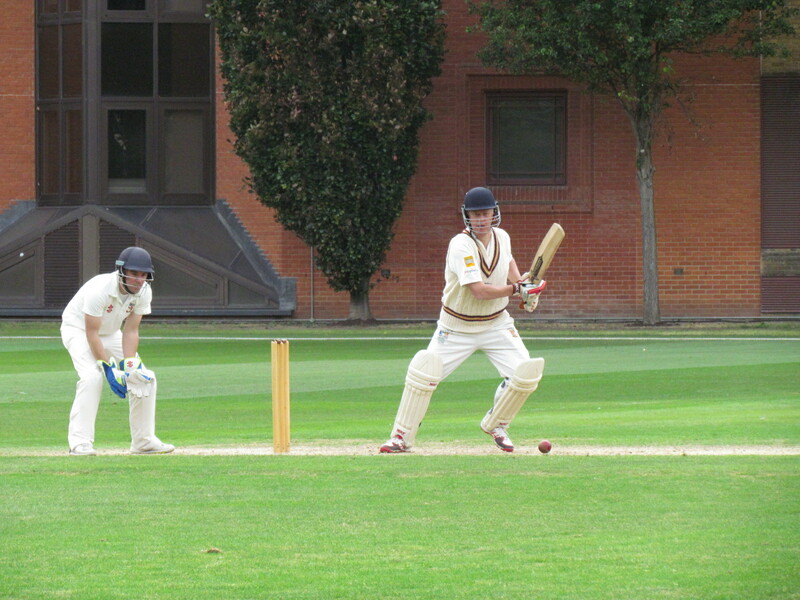 The HAC opener Cameron Edwards hit a Regan-esque 47 to get the home side on their way. 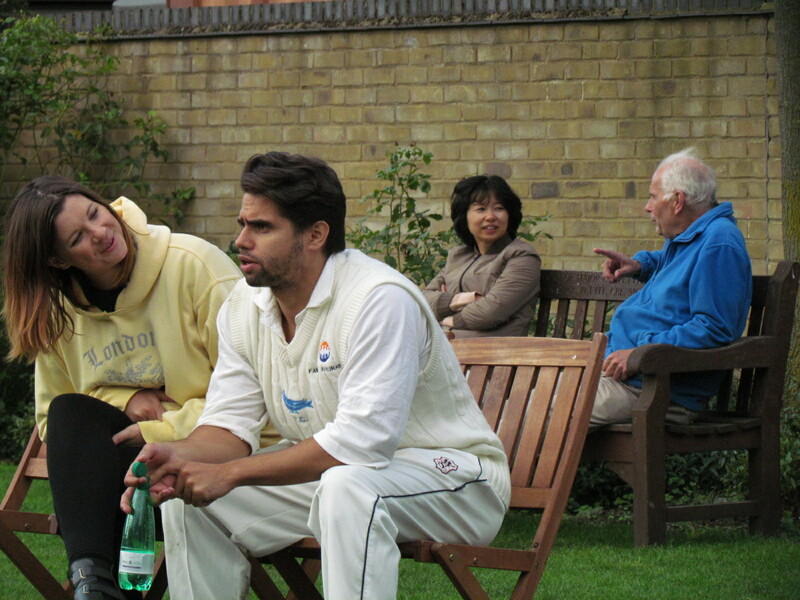 His partner Harry was providing able support pushing the singles, forcing Tim to go with the spin twins, Neej and Saurav. 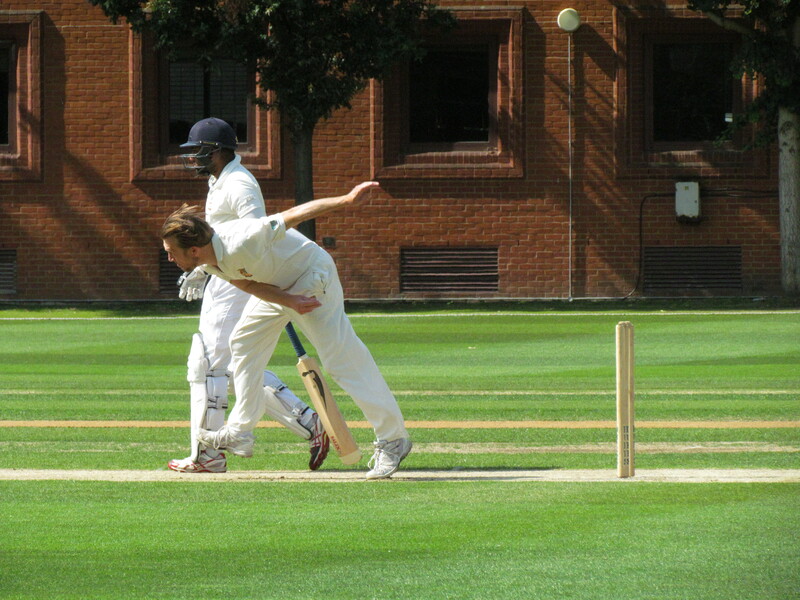 This paid off immediately, with Neeraj removing Edwards, and neatly prompted a steady flow of wickets thereafter. 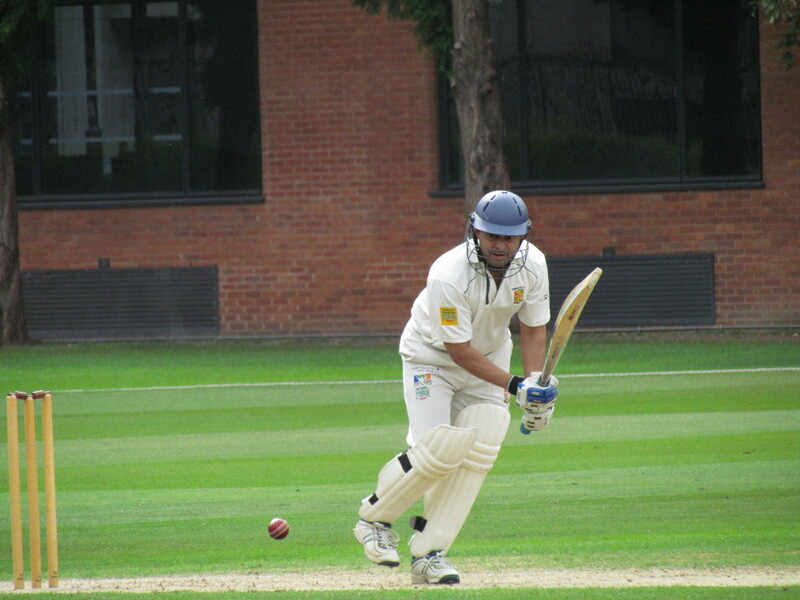 Saurav bowled with turn and control, and despite only grabbing 1 wicket for himself he was arguably the pick of the bowlers. That said, everyone made a contribution in the field. 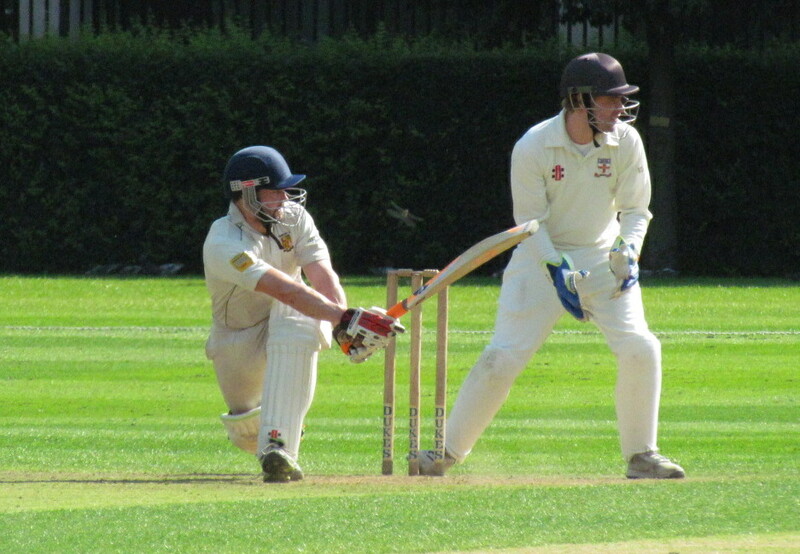 Adam and Bernard both picked up multiple wickets in their second spells, Saikat bowled with his usual fierce pace and swing, and there was rarely a misfield to be had. 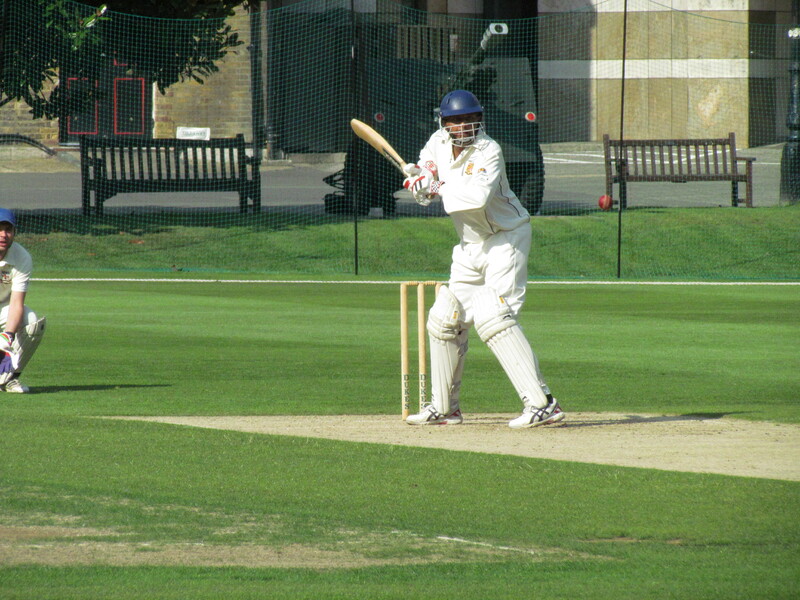 HAC’s innings ended in two run outs, the last on the final ball leaving KCC needing 154 for victory. 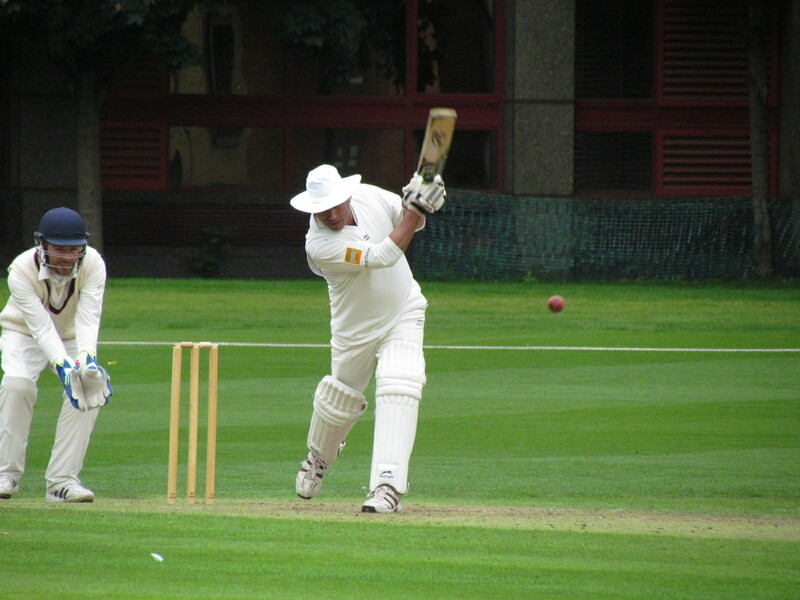 Bowler-turned wicketkeeper-turned opening batsman Tabrez opened up with Tim and the two of them were rarely threatened. 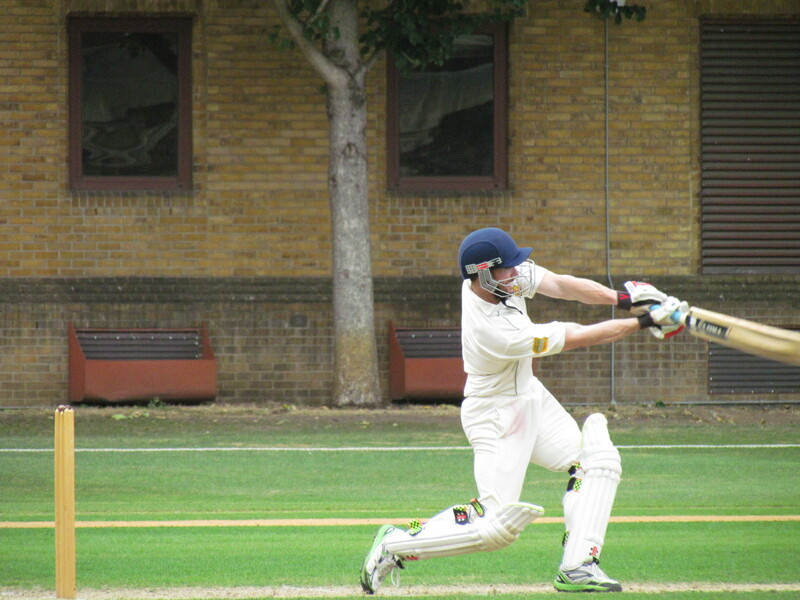 Tim was able to find regular boundaries (14) ensuring that KCC were always comfortably above the required run rate. Chris stepped in once Tim was dismissed, but within a couple of overs inadvertently contributed to the game ending early. Attempting a lofted on-drive but not quite finding the middle of the bat, the ball sailed high into the now low-lying clouds. Cameron Edwards came rushing in, but quickly noticed he was out of position, meaning he had to rush back and reach far overhead to make the catch. 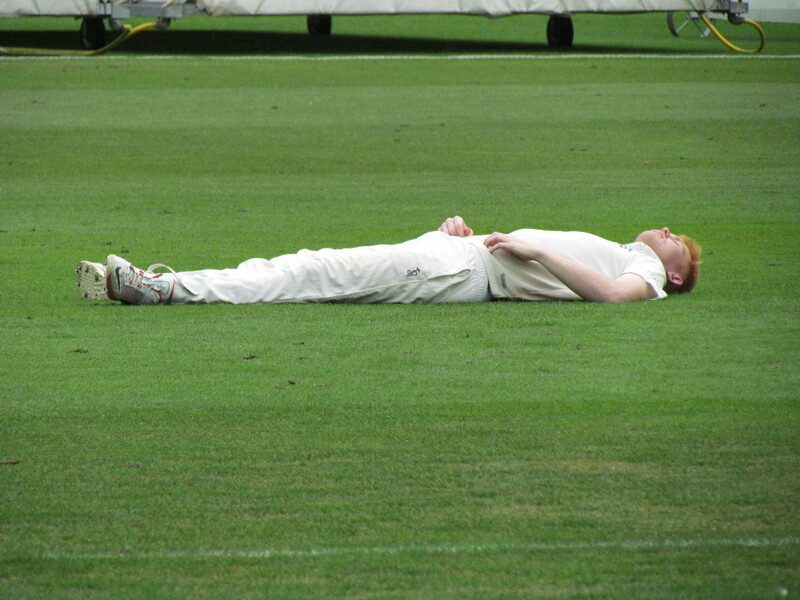 Alas, the ball fell to the ground, as did Cameron who landed hard on his head, followed by an un-Olympic-like backflip. Cameron was in some pain, and given the nature of a potential injury to the neck an ambulance was called immediately. 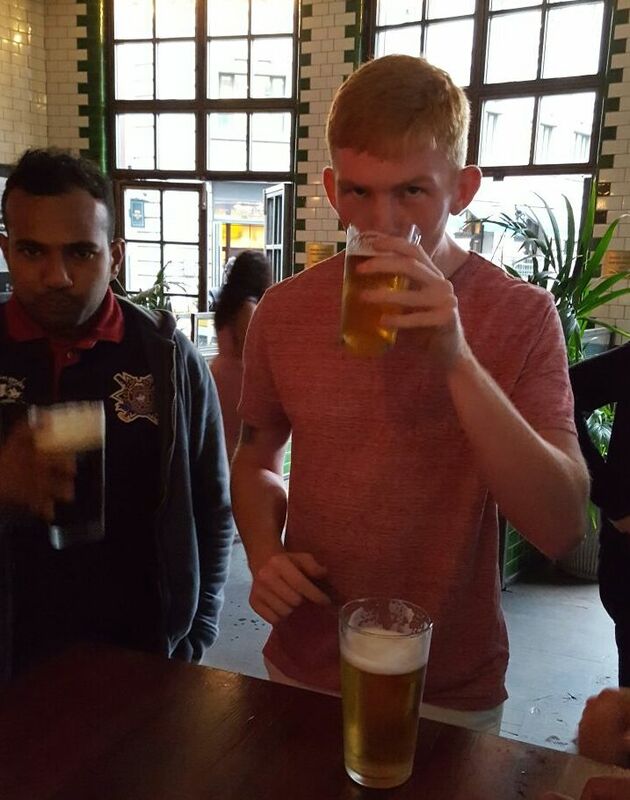 Some of the HAC players, being the good teammates that they are, decided to head to the pub to kill time. 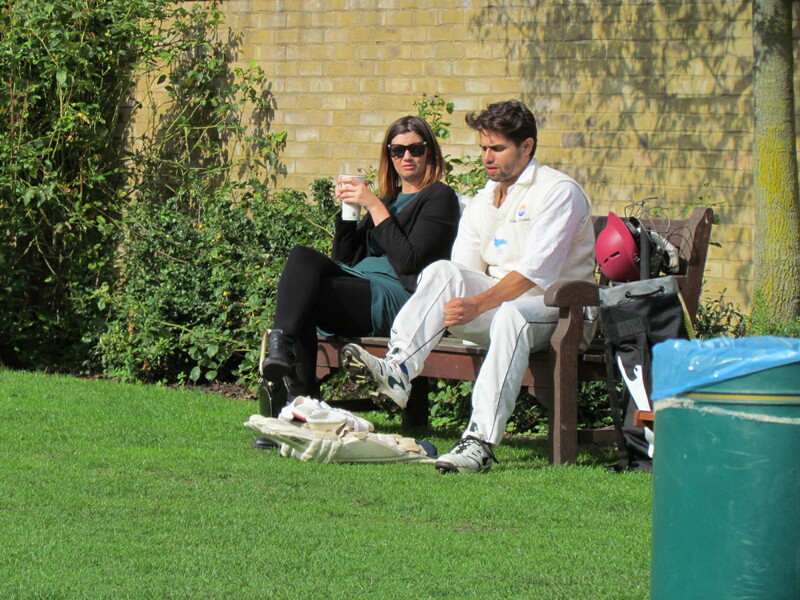 The KCC entourage did nothing of the sort, though a few cold cobras may have cracked open early. Forty-five minutes passed before the ambulance arrived, and twenty minutes later as the ambulance left (respectfully going around the boundary edge) the rain had well and truly settled in forcing an early end to proceedings. So what was the result? Some said a no result due to it being abandoned before the end. 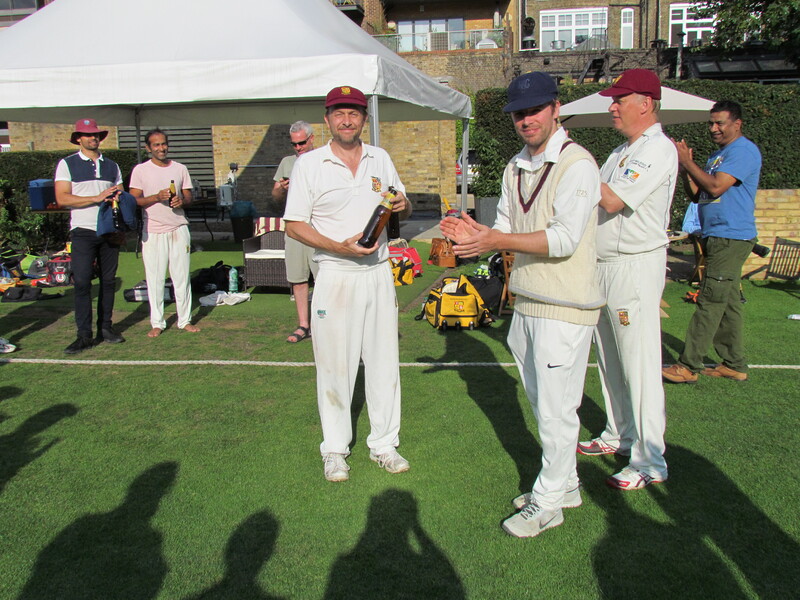 But with us well ahead on the D/L method (by 37 runs), and without a win in 6 matches, it was agreed (perhaps amongst ourselves) that KCC were worthy winners. 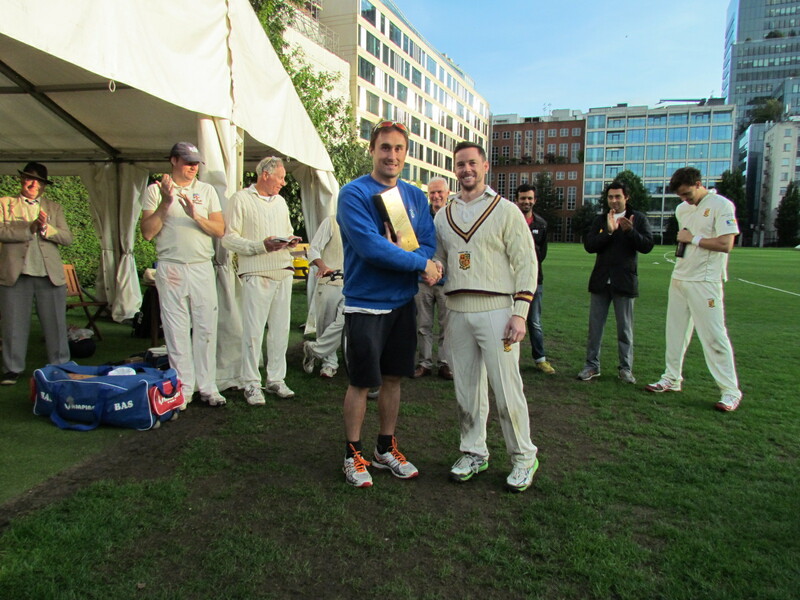 And Cameron Edwards was fine as he shared a beer with us after the match (see insert). 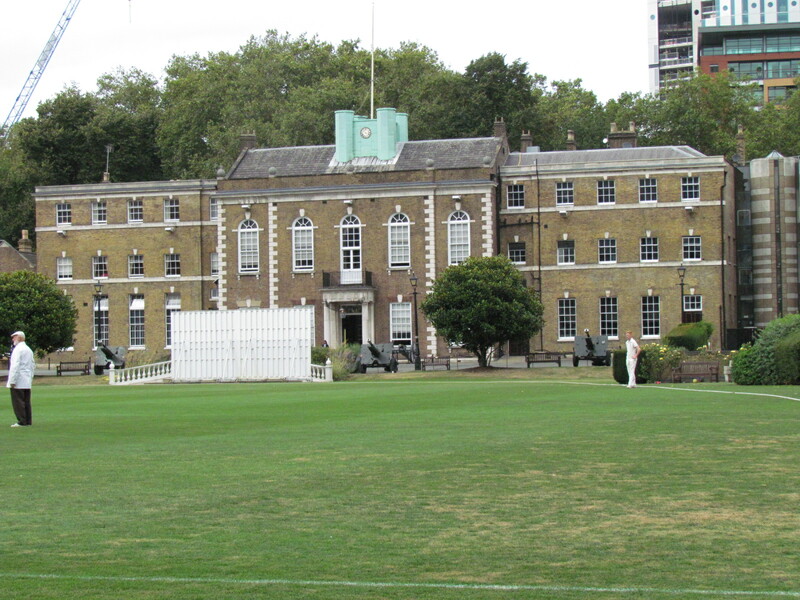 A cold and gloomy day for this 12 noon start at the glorious HAC ground, Tim happy to send the home team in after winning the toss. 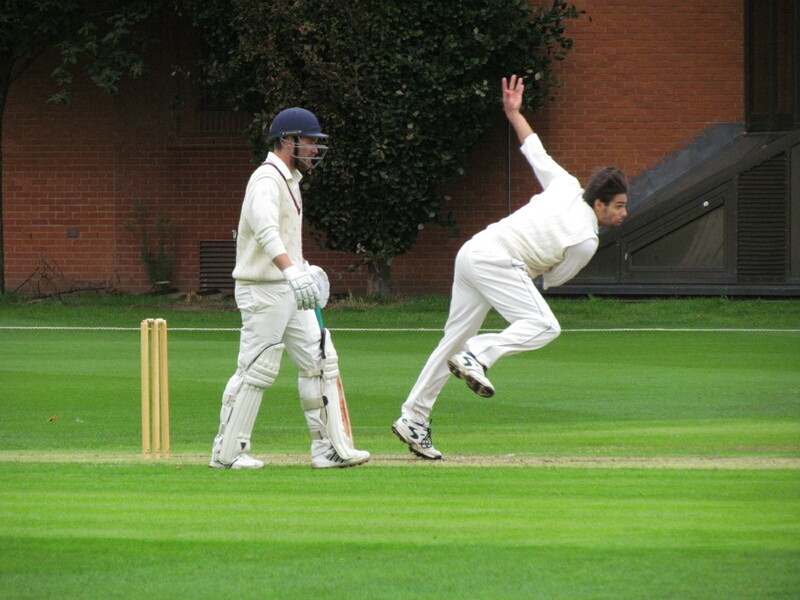 First gamer Adam Sumner – introduced through Mark Oppe – was thrown the new ball and showed his class despite having not played for a number of years. 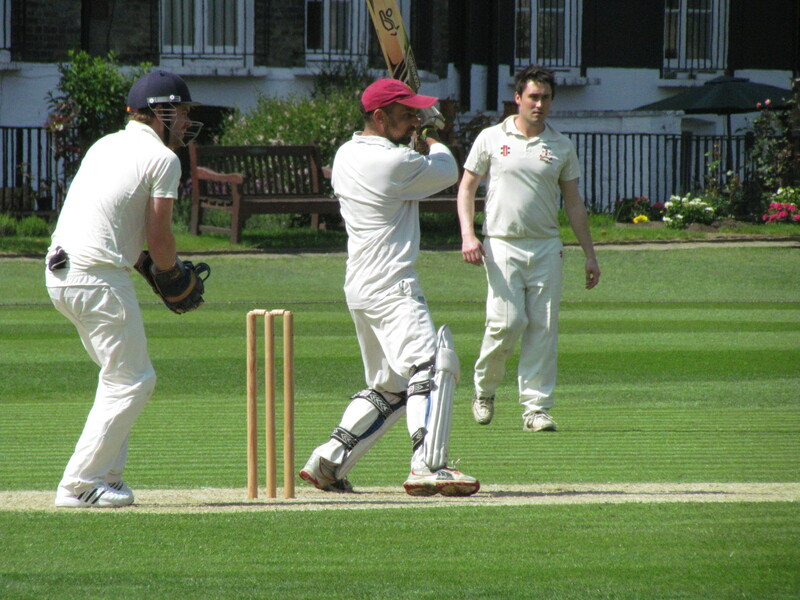 The HAC top order were in survival mode as he swung the ball viciously and moved the ball both ways off the pitch. 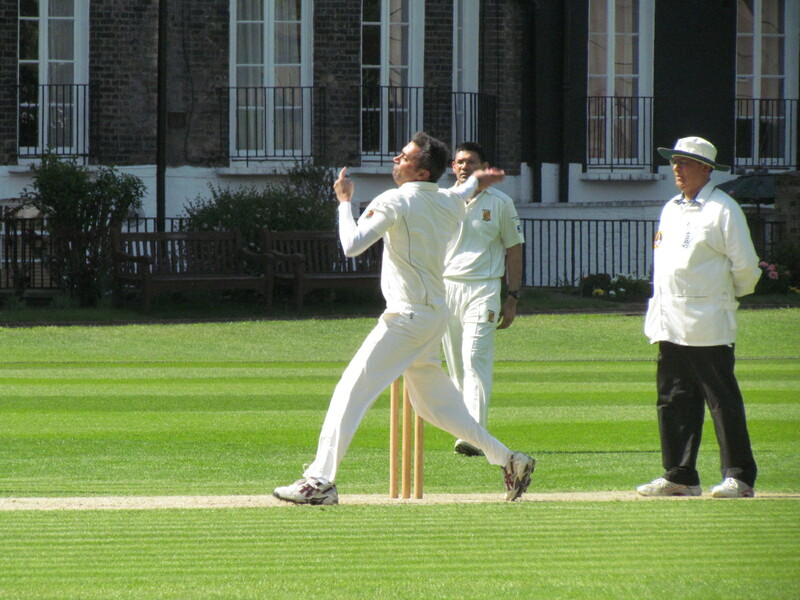 Somehow Adam failed to take a wicket in his 6 over spell, not helped by Bharat grassing what can arguably be described as ‘the biggest and most costly dolly ever dropped in the history of KCC’. Not that important then. 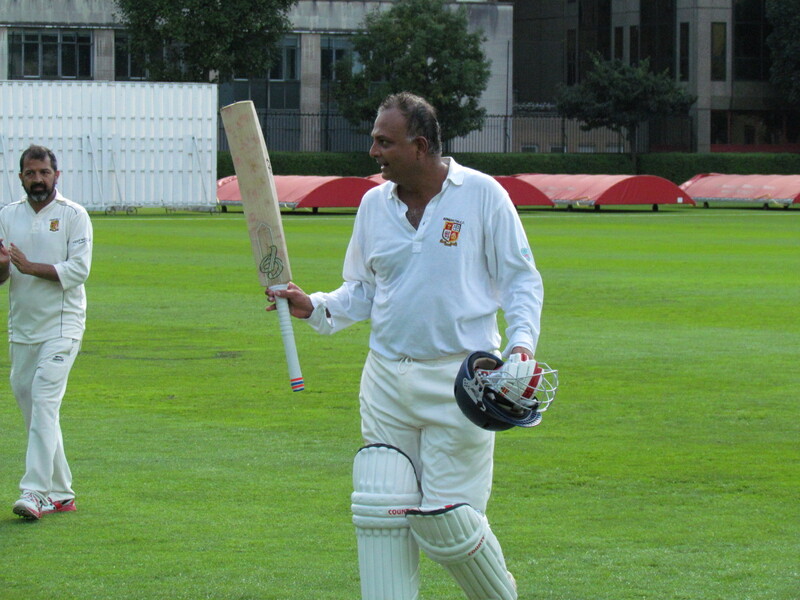 Bernard made the first breakthrough, and then Sir Amar showed his skills had not waned, drawing a false shot from the very dangerous Liam Casey, knocking over his off stump. 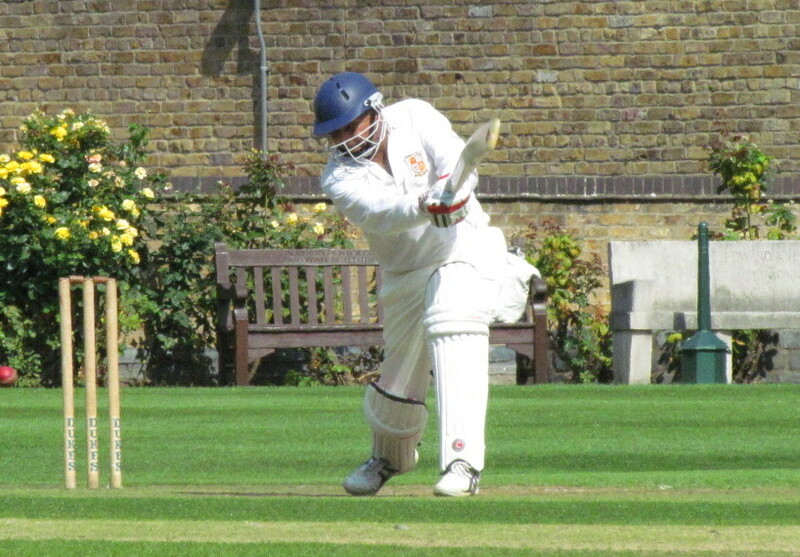 But with his earlier reprieve spurring him on, Sean Parry played the class innings for HAC as he raced to a run-a-ball century. Bharat was the man to eventually remove him, giving him the tiniest smidgen of satisfaction. 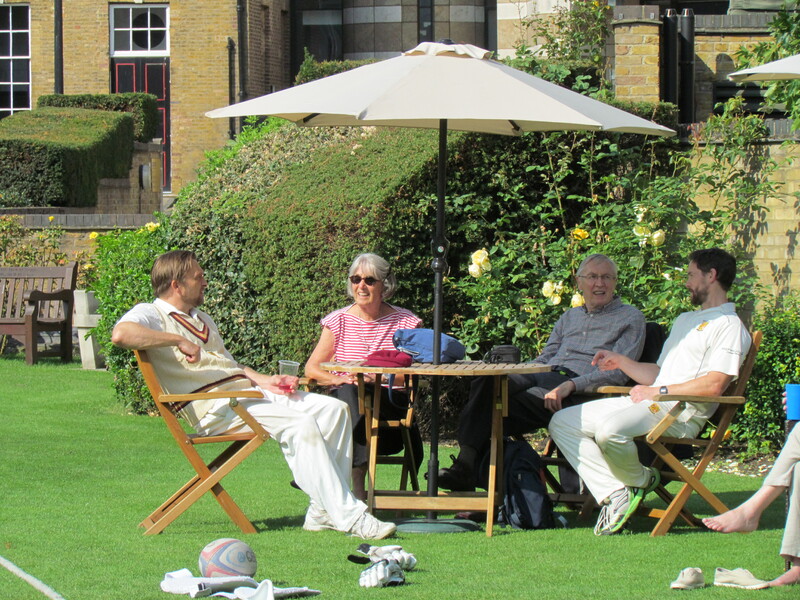 With HAC’s batting tailing away as the wickets fell, their 216 seemed very gettable off 40 overs, especially as they were one man down (could have been two but Adam’s father Peter was there watching the game and like any good cricketer had packed his whites and was able to fill in for the HAC). The chase did not start well. 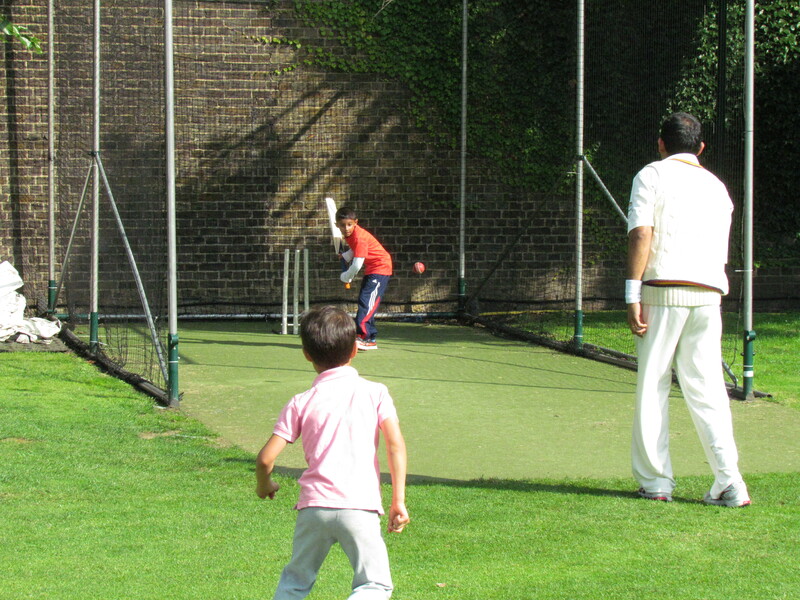 Nitin was out cutting to gully, and Adam not able to reproduce his bowling exploits with the bat. 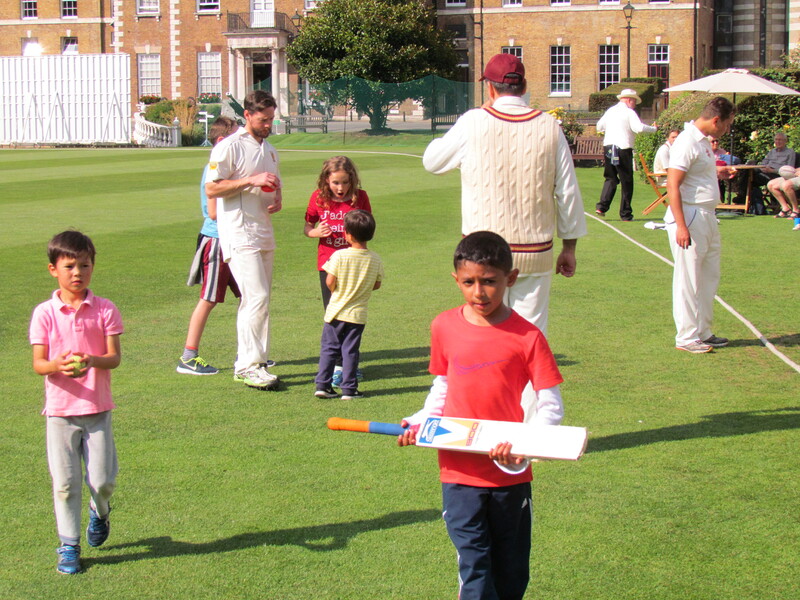 With both Behars soon also back in the shed, the match winning partnership fell to Shahzeb and Tim. 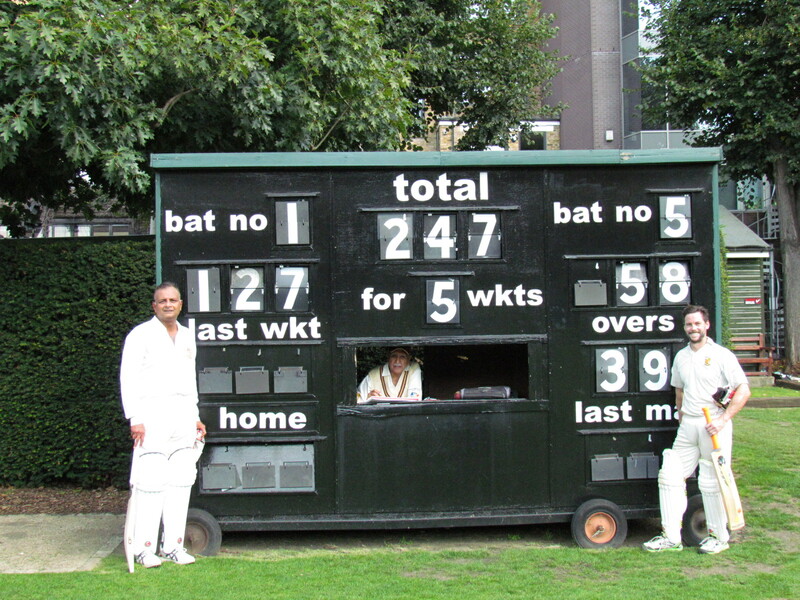 Although the run rate was climbing, the chase was definitely on as long as those two stayed at the crease. 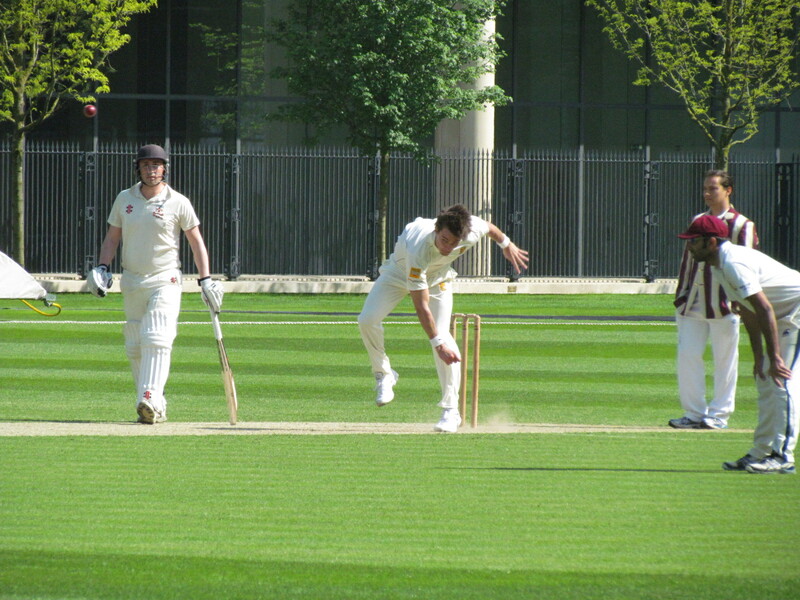 Alas, the finely dressed umpire for HAC made an absolute howler, giving Tim out LBW for 45. It may have been close if not for the ball brushing the glove, going down leg side and hitting Tim at full stride. 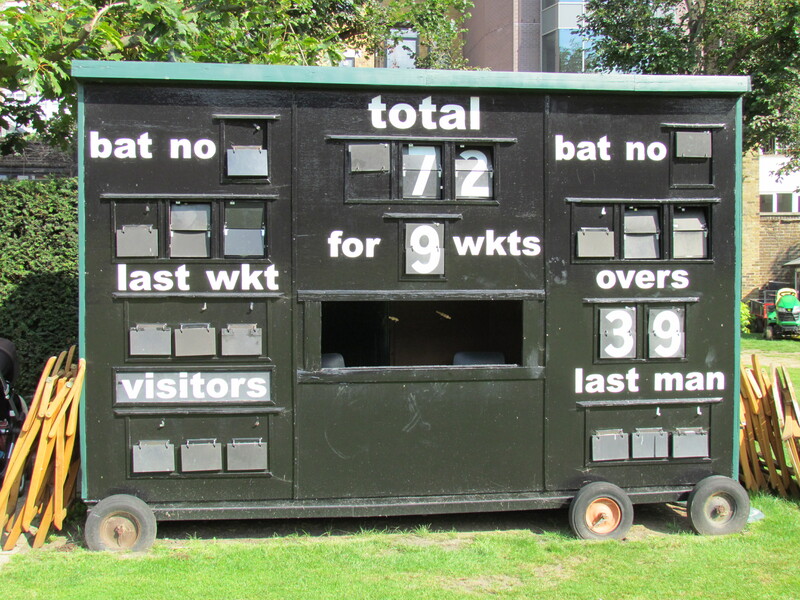 This knocked the wind out of the KCC innings, with Bernard and Sunil left to get some decent batting practice in the final overs to ensure we were not all out, but still handsomely short of the target. Are we watching the cricket, folks? Looking at the scoresheets and the time of year, one would assume a nasty green top had been prepared in this early season fixture. 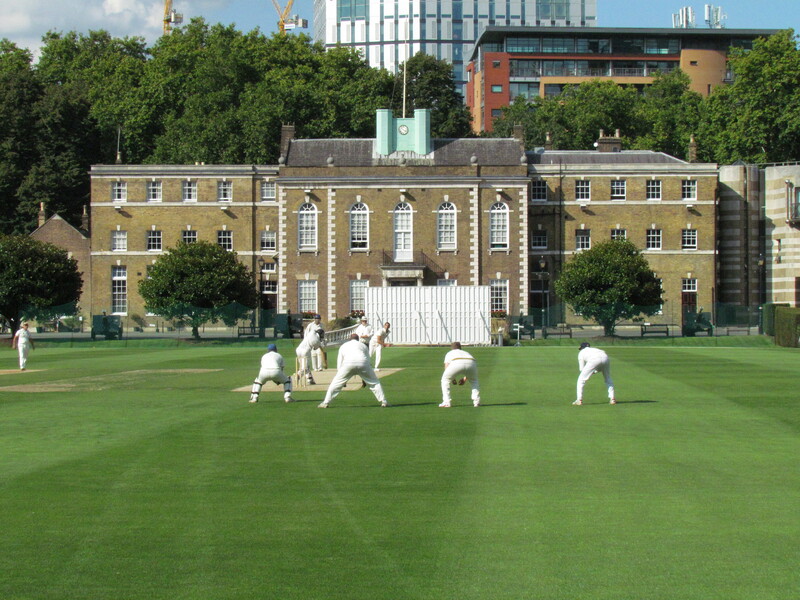 Alas the sun was out and the HAC groundsman had prepared a beautiful track for a match that is very much looked forward to in the KCC fixture list. 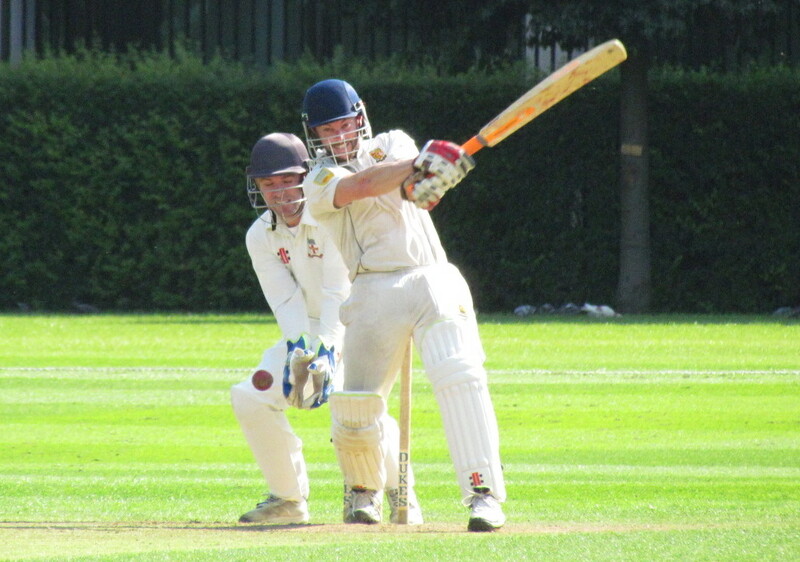 Surprisingly being sent in, skipper Keleher assumed the hosts had a formidable batting attack so was thinking a minimum score of 250 would be required from the allotted 45 overs. 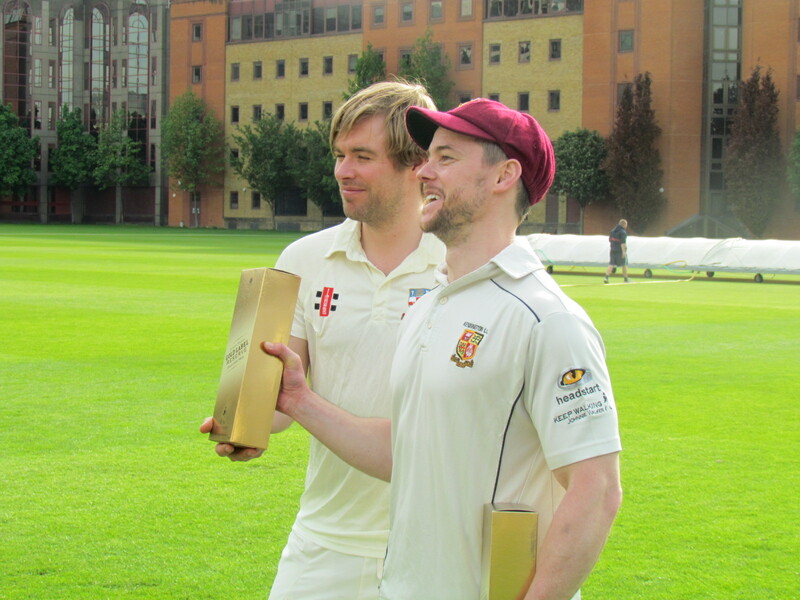 Tim and Chris comfortably took the score towards 100 with a healthy run rate, but as both fell in quick succession the innings never really got going. 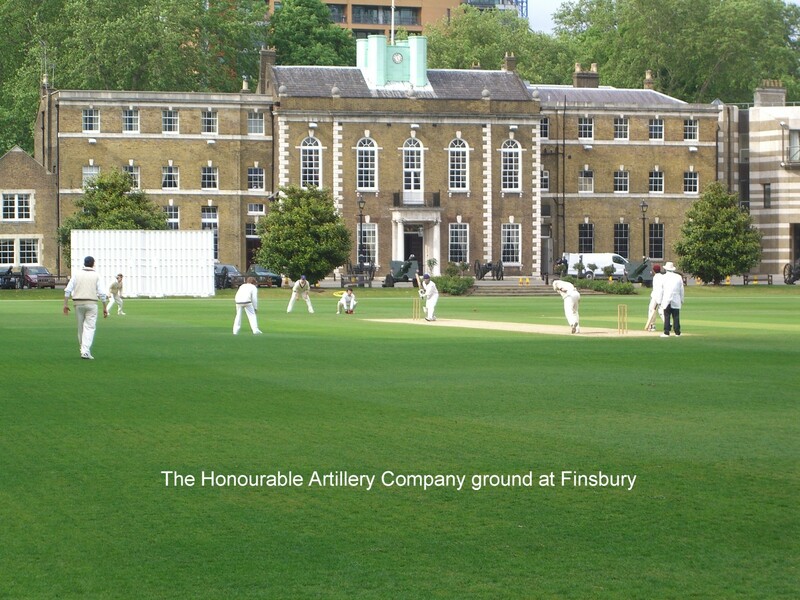 HAC showed local knowledge with their introduction of slower, tighter bowling to extract the most from the pitch with Henry Faj and Shaun Parry working well in tandem to each pick up 3 wickets. 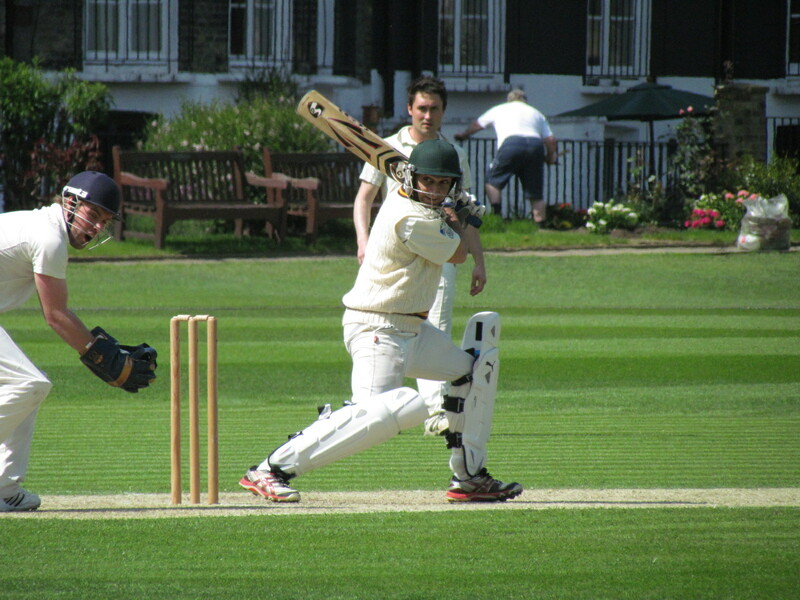 KCC lost their way after the drinks interval and were dismissed for a very disappointing 136. 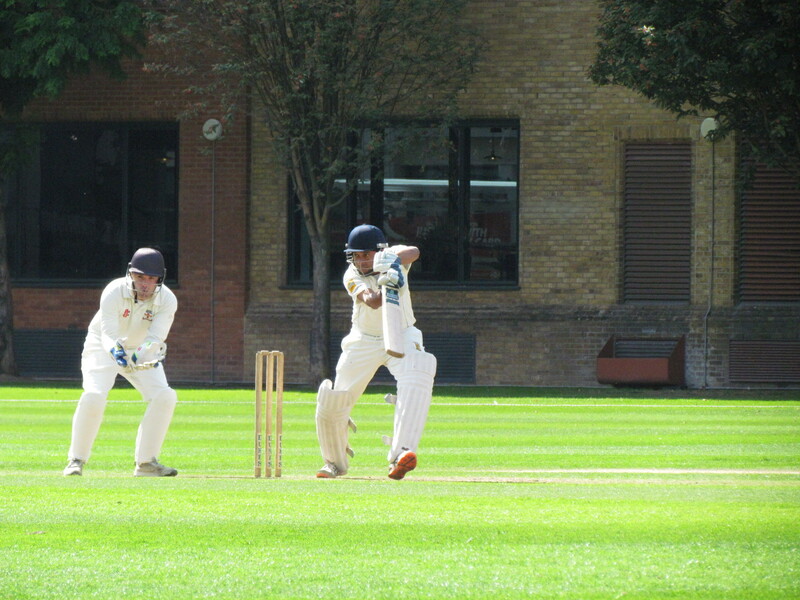 With the close of innings coming quicker than expected, HAC had to endure a nasty 11 over stint before the tea break, and it was in these overs that KCC well and truly took control of the match. 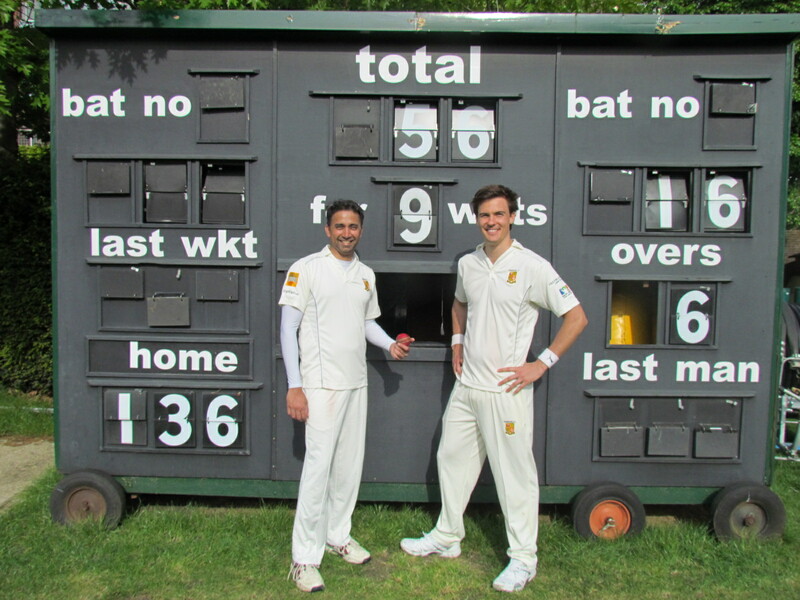 With Bernard van Vuuren delivering some wicked in swing bowling, and Deepak moving the ball both ways off the pitch, wickets tumbled frequently from the outset. 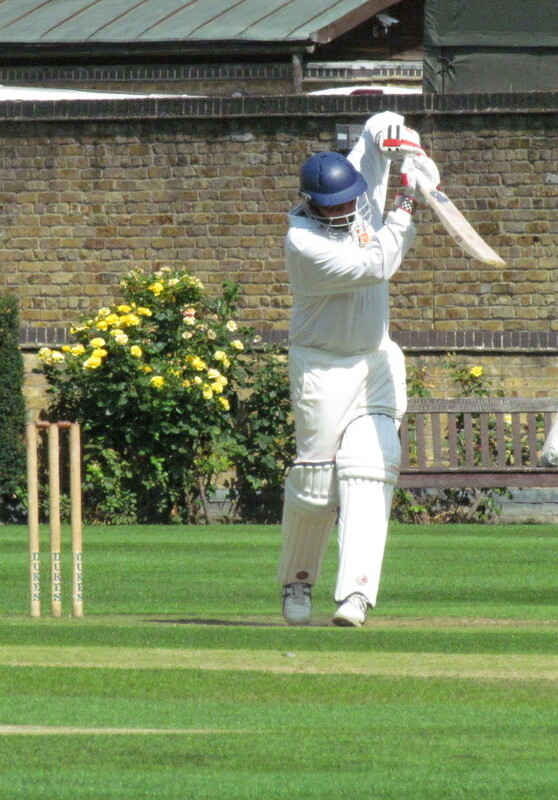 Apart from a sharp catch at 1st slip from Amit to dismiss the dangerous Parry, bowled and LBW decisions were the order of the day with off stump being well and truly peppered. 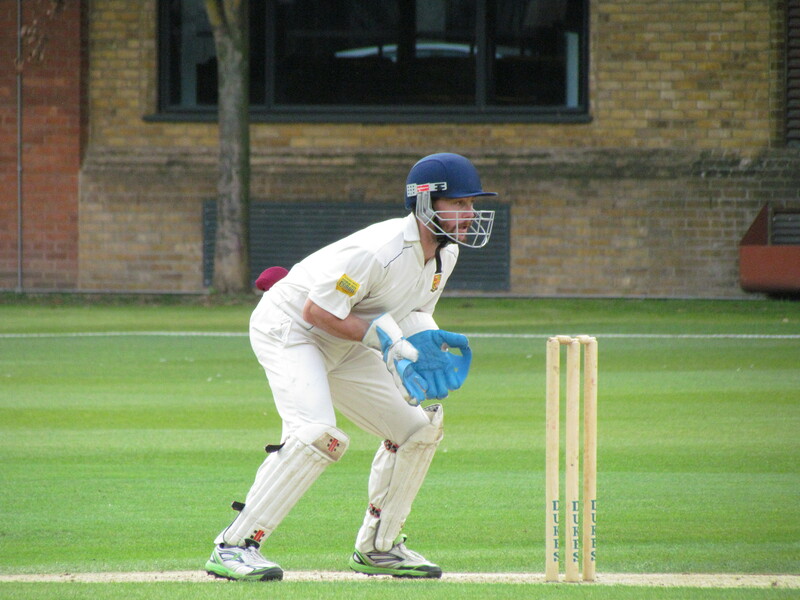 Resuming after tea at 32 for 7, Henry Faj put up some late resistance but the remaining wickets fell without a single bowling change being required – a club first according to Stats Guru Gore. 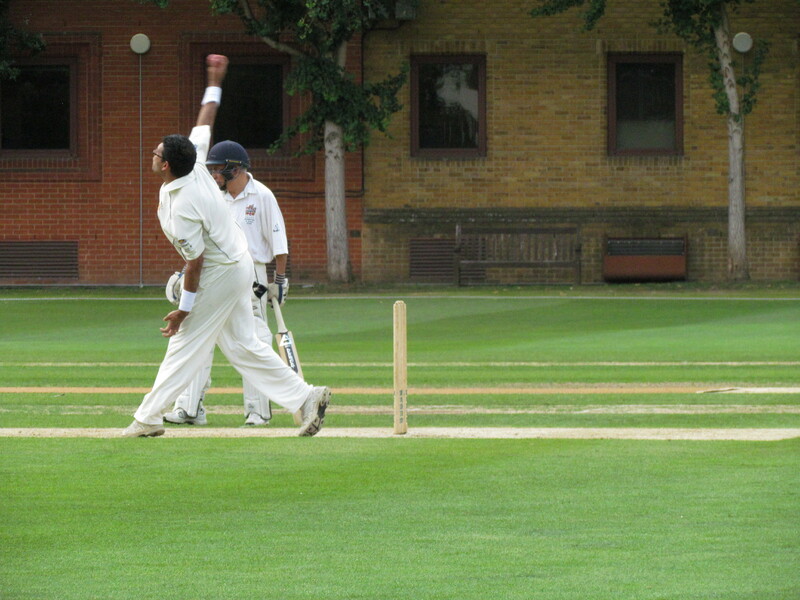 Bernard (4 for 27) and Deepak (4 for 26) doing all that was required to dismiss HAC for a measly 56. 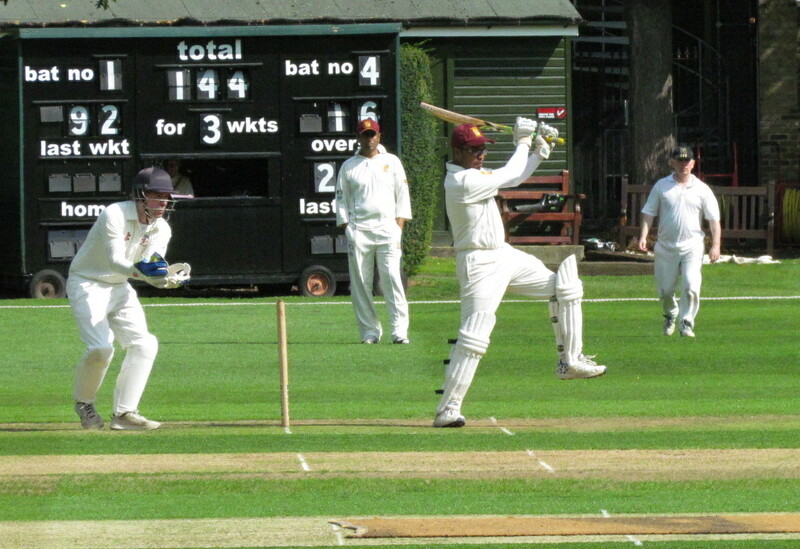 A great start to the season for KCC, and a great warm up to the big DB match the following week. 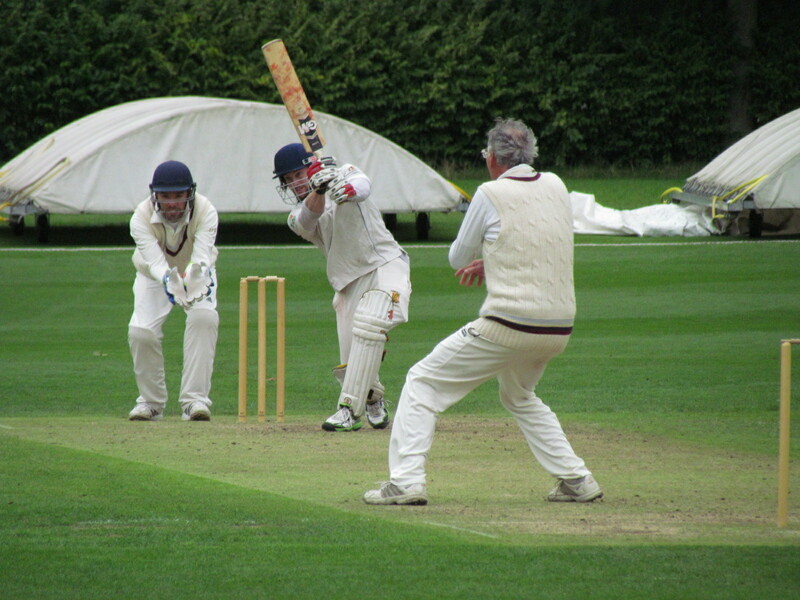 Given the groundsman’s extreme reluctance to let us get underway on a dull, damp day despite perfect pitch conditions, it was a wonder that our hosts were able to sway him into letting us start. 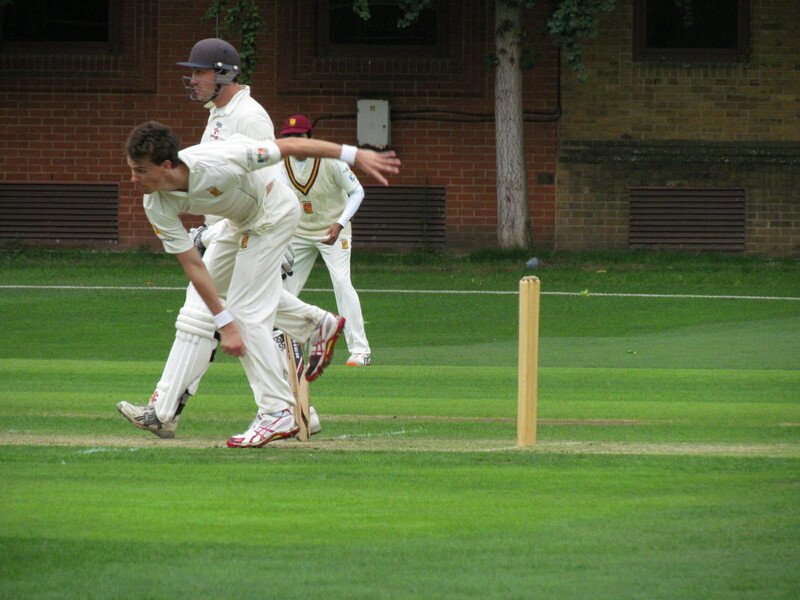 But, much to our chagrin, and the groundsman’s delight, a sharp shower ended proceedings after just three overs.